I love how Jessica transformed regular games into perfectly pink party games with a little paint and fabric. 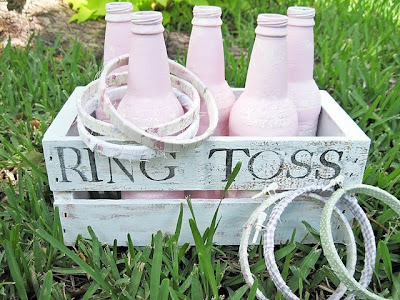 You can check out more of this Pretty Pink Picnic Birthday Party over at Two Shades of Pink. Lorie...you sweet, wonderful you! Thank you for featuring this...so happy you like it!